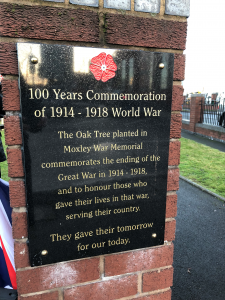 I attended the Moxley remembrance service to mark the centenary of World War I on Sunday 11 November 2018 and laid a wreath at the Moxley War Memorial. 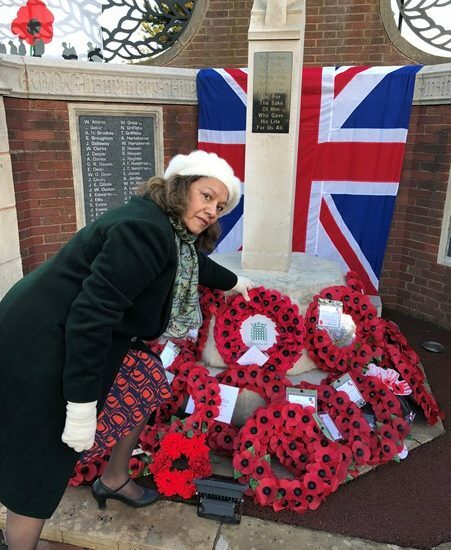 95 Moxley residents sadly lost their lives during World War I.
Reverend Gilbert David and Reverend Annette Duckworth conducted the service. It was great to see the pupils of Moorcroft Wood School who read out poems about the war at 3pm.